One of the most common causes of ocular irritation is Dry Eye. In the recent past, most cases were believed to be caused by insufficient tear production (Aqueous Deficiency Dry Eye), but new, more sophisticated tear analysis pins the blame, in the case of 86% of patients, on a decreased layer of oil covering one’s normal tears. This oil insufficiency leads to rapid loss of one’s tears by evaporation (Evaporative Dry Eye). The lack of oil is caused by a common problem known as Meibomian Gland Dysfunction (MGD). MGD occurs when the protective oil that normally flows from the eyelid (meibomian) glands slows or stops. Over time, blockage and structural damage of the glands occurs. This causes the tear film to rapidly evaporate, leaving the eye’s surface exposed. This can result in irritating dry eye symptoms. For those patients, over-the counter eye drops are not the answer. That’s why it’s essential you get your tears analyzed by your doctor. Only then can an eye doctor can properly diagnose and treat the disease appropriately. Miller Eye Center has a full array of diagnostic tests for dry eyes in order to determine the cause of your dry eye. Your doctor will take a sample of tears from each eye and use the TearLab to measure osmolarity. The sample required is very small, thanks to TearLab’s advanced technology; your doctor will need an amount no larger than the period at the end of this sentence. Osmolarity is the accepted standard for diagnosing the amount of tear production. The TearLab Osmolarity Test will give your doctor a meaningful measurement of the health and stability of your tear film to guide the Doctor’s choice of therapies. Other specialized diagnostic testing used at Miller Eye Center includes infrared photography of Meibomian oil glands, LipoScan, RPS testing for inflammation, and video derived tear breakup times. Traditional treatment for dry eye consisted primarily of artificial tears. Unfortunately all tear products only stay on the eye surface for less than five minutes, providing insufficient treatment to improve comfort. 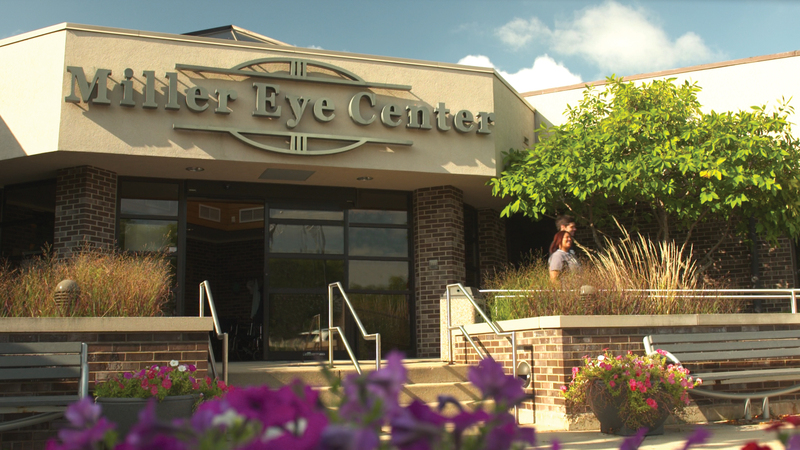 Miller Eye Center can manage the progression of MGD and restore the eye’s natural oil production with LipiFlow®. 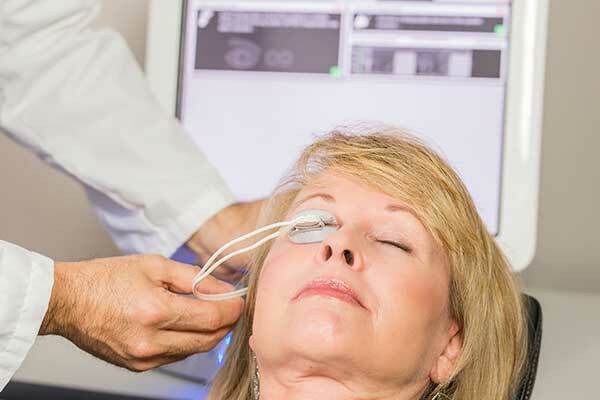 LipiFlow is the only FDA cleared treatment using thermal pulsating heat to remove blockages in the Meibomian glands. When the Vectored Thermal Pulse (VTPTM) LipiFlow treatment is properly applied, the heat and gentle massaging action evacuate the blockages from the glands, allowing the glands to resume oil production. Clinical studies have demonstrated that 80% of patients improve after LipiFlow treatment and that a single treatment can be effective for thee to four years.